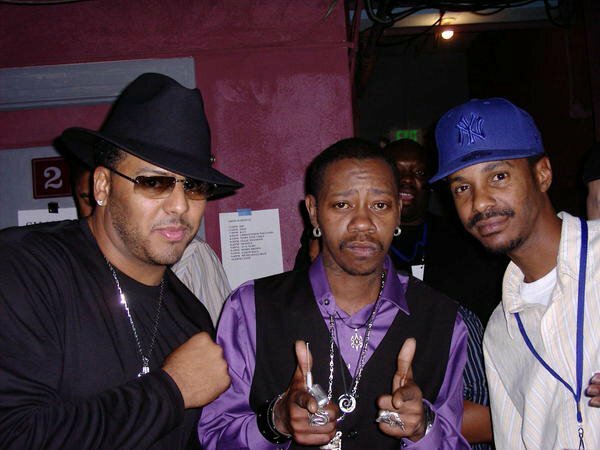 L to R: Al B. Sure, KC, and Tevin Campbell. Halloween comes early for these legends of R&B. Al B. Sure decided to go for the classic "I'm A Pimp" outfit. While KC just wears his vest and purple shirt from his day job at McDonalds. And Tevin Campbell decides he wants to look like Russell Simmions. Only thing missing is a tall asian drag queen on his arm.